Left photo is by Danielle Rueda. Right by Damion La Cappelain. San Francisco, CA, June 14, 2018 — Academy of Art University received accreditation from the National Association of Schools of Art and Design (NASAD) for new degree programs in Footwear and Accessory Design. The program includes 60-unit M.F.A. and 120-unit B.F.A. degrees that offer students the opportunity to focus on developing their talent and skills to meet growing industry demands. 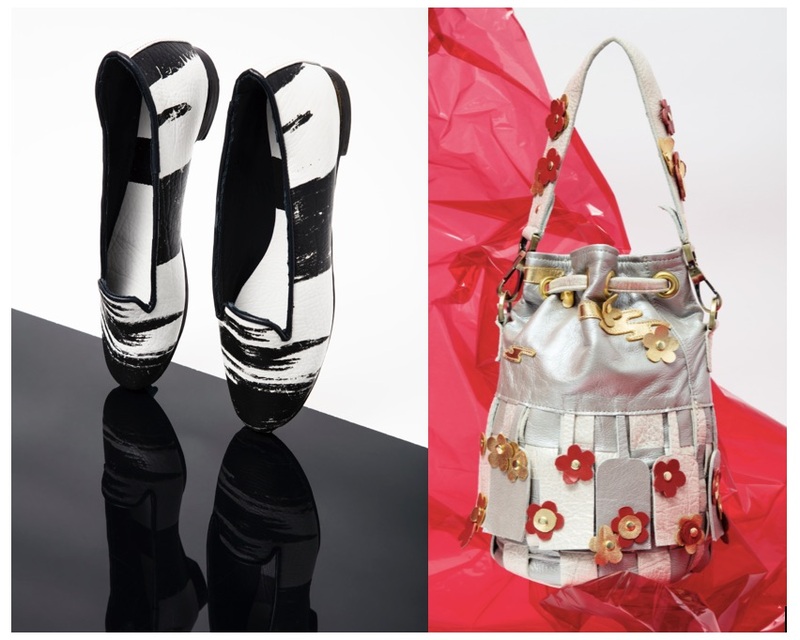 Fashion accessories have been a major revenue stream in the fashion market for many years, and is arguably a sector that keeps many brands buoyant. In the US, where few accessory design degrees are on offer, the design positions are traditionally filled by fashion and industrial design graduates. Footwear and accessory design has its own language and construction skills; the dedicated degree programs will focus on 2D and 3D design and construction, market trends, materials, manufacturing and the technical specifications used primarily within the field. Consequently, students graduating with footwear and accessory design degrees will be more prepared for careers in this industry. In the spring of 2017, Damion Le Cappelain joined the School of Fashion at the Academy of Art University as Footwear and Accessory Design Coordinator, tasked with developing a competitive and innovative program. He studied footwear at the Royal College of Art in London, taught at Savannah College of Art and Design in Georgia, and worked as a consultant with fashion brands such as: 3.1 Phillip Lim, Tom Lipop, and Roots Collective. The B.F.A. degree program directs the next generation of designers to identify specific materials and hardware used in accessories manufacturing, to gain experience and knowledge of industry standard equipment and the process of manufacturing, as well as, the wide variety of constructions, technical aspects and specifications of each. Students will learn to use a disciplined design process in context with the demands of the accessory industry to produce focused and extensive portfolios of 2D and 3D design work. Throughout the B.F.A. program students will continue to refine their aesthetic and build compelling portfolios that demonstrate their skill set, style and individuality. For students enrolling in the program with less accessory design experience, the M.F.A. degree includes a fast- track component that introduces basic techniques. The program provides further specialization in accessory design, culminating in comprehensive, innovative, and contemporary thesis projects that are industry ready and reflect the most current industry standards. The M.F.A. program also allows each student time to develop an individual aesthetic. Directed studies allow students room to explore areas of interest in a self-governed manner, developing and testing their time management skills, abilities to communicate with a professional mentor, and their creative problem-solving skills. The accredited degree programs launch onsite for Fall 2018. Photo Left (Cover Image): Black and white ballerinas by Lin Mei-Hsiu, BFA Fashion Design. Styling by Flore Morton, photo by Danielle Rueda. Photo Right (Cover Image): Bag designed by Saya Shen, MFA Fashion Design. Styling by Flore Morton, photo by Danielle Rueda. Academy of Art University, the largest private university of art and design in the United States, is educating students to excel in the jobs of the 21st century. Established in 1929, the Academy offers accredited degree programs in more than 30 areas of study, as well as continuing art education, pre-college art experience programs, professional development, certificates, and teacher grants. Students are taught by a faculty of professionals from the existing marketplace, both online and on campus in San Francisco. Faculty provide them with an understanding of what it takes to succeed in today’s business environment. The Academy’s hands-on curriculum produces graduates who possess outstanding artistic and design skills, the ability to put those tools to work immediately after graduation, and an entrepreneurial spirit that tends to stick with them for life. AA, BA, BFA, BS, B.Arch, MA, MFA, and M.Arch degree programs are available in Acting, Advertising, Animation & Visual Effects, Architecture, Art Education, Art History, Art Teaching Credential, Automotive Restoration, Costume Design, Drone Production, Fashion, Fashion Journalism, Fashion Marketing, Fashion Merchandising, Fashion Product Development, Fashion Styling, Fashion Visual Merchandising, Fine Art, Game Development, Game Programming, Graphic Design, Illustration, Industrial Design (Transportation, Toy, & Product Design), Interior Architecture & Design, Jewelry & Metal Arts, Landscape Architecture, Motion Pictures & Television, Multimedia Communications, Music Production & Sound Design for Visual Media, Photography, Social Media, Studio Production for Advertising & Design, Virtual Reality, Visual Development, Web Design & New Media, Web Development, and Writing for Film, Television & Digital Media. Students can also enroll in flexible online degree programs in most areas of study. Academy of Art University is an accredited member of WSCUC, NASAD, CIDA (BFA-IAD, MFA-IAD), NAAB (B.ARCH., M.ARCH.) and CTC (California Teacher Credential). 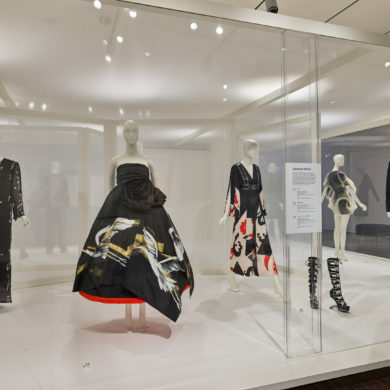 Students pursuing a Fashion Design degree from Academy of Art University learn from the finest creative minds working in fashion today, and have access to the tools and cutting-edge facilities needed for creating collections that garner accolades. Fashion students the world over gain experience designing styles that are the future of the industry the following areas of specialization: Fashion Design for Womenswear, Menswear, and Childrenswear; 3D Design and Pattern Making; Textile Design; Knitwear Design; Accessory Design; Costume Design; Fashion Illustration; Fashion Journalism; Fashion Marketing and Brand Management; Fashion Styling; Fashion Merchandising; Fashion Product Development; and Visual Merchandising. Guests to the School of Fashion include Zaid Affas, Azzedine Alaïa, Prosper and Martine Assouline, Max and Lubov Azria of BCBG Max Azria Group, Yigal Azrouël, Geoffrey Beene, Rose Marie Bravo, Alex Brownless of Arts Thread, Sarah Burton OBE, Creative Director for Alexander McQueen, Andrew Buckler, Julie Chaiken, Kenneth Cole, The Honorable Bertrand Delanoë Mayor of Paris, David Downton, Steven Cox and Daniel Silver of Duckie Brown, Patrik Ervell, Loulou de la Falaise, James Galanos, Olya Kuryshchuk and Aya Noël of the publication 1 Granary, Lutz Huelle and David Ballu, the President of Lutz Huelle, Lisa Smilor and Sara Kozlowski, both of the Council of Fashion Designers of America, Joan Kaner, Humberto Leon and Carol Lim of Opening Ceremony, Antonio Lopez, Fern Mallis, Alexander McQueen, Enrique Meixueiro, Executive Editor of Vogue Mexico and Latin Amerinca, Rosita and Tai Missoni, Angela Missoni, Margherita Missoni, Isaac Mizrahi, Josie Natori, Ian Hannula and Joe Haller of N.I.C.E. Collective, Elisa Palomino, Laure du Pavillon, Lars Byrresen Petersen of Visionaire, Zac Posen, Oscar de la Renta, Zandra Rhodes CBE, Kate and Laura Mulleavy for Rodarte, Ralph Rucci, Nathalie Rykiel, HRH Princess Reema Bandar Al-Saud, Jeremy Scott, Carla Sozzani, Philip Treacy, Walter Van Beirendonck, Dirk van Saene, Trino Verkade, CEO of Sarabande: The Alexander McQueen Foundation, and Dame Vivienne Westwood DBE, as well as Christophe Girard Director of Fashion Strategy of LVMH Fashion Group, as well as fashion critics and journalists – Tim Blanks, Mickey Boardman, Alexander Fury, Robin Givhan, Cathy Horyn, Suzy Menkes OBE, Sarah Mower MBE, and Joe Zee.